Started spring cleaning? Ready to get rid of old clothes and buy some new threads? There's no need to spend a fortune to updated your spring wardrobe, though. You could get a new shirt or dress or necklace for $1. On Saturday, April 21, Buffalo Exchange is holding its annual Earth Day $1 Day Sale at all locations, excluding outlets. The resale stores, known for commitment to sustainability, will be offering special selections of clothing and accessories for $1 apiece. All proceeds from the sale of $1 clothing will go to 5 Gyres in support of its efforts to research ocean plastic pollution and engage communities in responsible use, design and disposal of plastic materials. The sale is cash only and $1 items go quickly, so shoppers are encouraged to get there early. Remember to bring your own bag to carry all your new finds home, too. 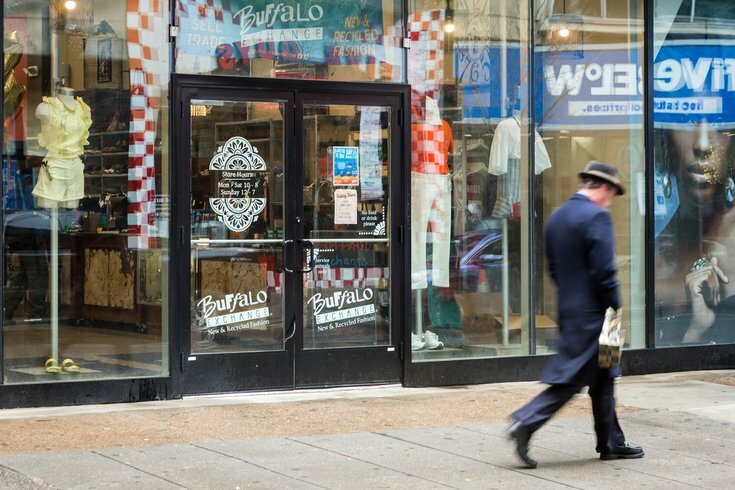 If you plan on shopping in Philly, there's a Buffalo Exchange at 1520 Chestnut Street. It will be open from 10 a.m. to 8 p.m. on April 21.